Someone posted a link to this initiative this morning in one of the Facebook groups. At last the government are doing something to address the issues around child mental health. It looks like a great start. Anyone know anymore information about this Educational Mental Health Practitioner EMHP course/job? Please do comment below. A years training paid by the NHS at band 4 and then band 5 when you start working. I have set up a Facebook group for this so you can discuss this a bit more privately. There are two questions that you MUST answer in order to join. I have been looking a lot into this position, there are some in the UK already being advertised (berkshire i think) if you go onto the NHS jobs website and search it should come up. They have a really good description of the job/training. I am hoping to find out more about positions close to Milton Keynes (Northampton University!) I did ring the Uni and they said more information should be avaliable soon but the course is not yet finalised thats why it is not online. Best of luck!! There are a lot of ELSAs interested so great to hear this information. Thank you. Can I ask if anyone has applied for the position…if so what are your thoughts? I’ve just got an invitation to interview for this post. Anyone else? I am really excited for this to be rolled out and I would love to apply but I cannot find any information as to when it will be rolled out in Norfolk. If anybody finds out please let me know. Also I would like to know what the working hours of the job are, would it involve evenings and weekends or just the typical working week? I am very excited to say that I will begin training on 21st January. The training consists of 50% postgraduate study and 50% clinician work based within educational settings. It’s a 12 month paid training programme with a guaranteed offer of a job once qualified. I understand the next cohort will commence training in September, so if interested I suggest you contact the NHS Trusts / Clinical Commissioning Groups responsible for the training. Hi caroline, sounds really intresting. I’m guess it’s two days at uni and the rest in the service. Which university will you be attending? This sounds amazing. I have just applied for this and I’m anxiously waiting for a response. I have been invited to interview for this post in January; I’m nervous but really excited! Caroline – or anyone else who has interviewed – could you give any insight into the interview process? I understand for similar roles such as PWP there is a role play task, but I’m not sure how this will compare especially with it being a brand new job description. I’ve also heard about group tasks too, but my interview information only names 1 person on my interview panel. How long did your interview take? I also have an interview and would like to know what to expect. Is the course the same as the London curriculum as the timetable looked like a lot more university than school placement? Also that document mentioned group tasks, I have been informed the interview with last only 45 minutes. About 3 weeks but the nhs can take some time to reply. I had 2 interviews in November for this and start training on the 21st January. 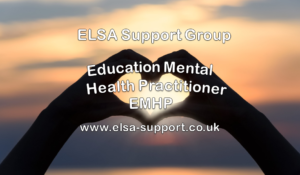 I was asked questions on safeguarding, how to manage parents who feel their child is not beign supported, pros and challenges of delivering mental health interventions in education settings (e.g. issues of stigma for the child). I also had to do a role play and a presentation (both of these were briefed 2 weeks before the interview. There was also a multiple choice quiz and general questions on motivations to do the course and why you think you’d be good for it. Hi Amit, congratulations on your success in getting on the course! I just wondered if your 2 interviews both required the presentation and role play?- if so which area/s (i.e. which university/trust) included this in the interview? Hi, these were for KCL – South London and Maudsley and UCL – Camden and Islington. This is all so helpful. Thanks guys! My interview is fast approaching and I feel okay about it, but I still don’t know how long my interview will be! One person here suggested 45 minutes whilst another had been briefed about a presentation and role play (which I haven’t had any info about so hopefully I’ve not missed out on that). One last question I had was regarding the training of anyone could help me. Does anyone know if we will have any funding or reimbursement for travel costs to and from uni on the study days? That’s a good question – Uni, I wouldn’t have thought so but placement maybe as it would be going to different schools? It would be an hour each way for me Uni/placement so it will seriously clock up the miles! I have an interview at Northampton Uni next week for this role. I have been told they have allocated 1 hour slots for the interviews. Hi Louise, did you apply for Nottingham or Coventry by any chance? These were the ones I applied for but no news on interview so I’m guessing I was not successful. There was one for N.Warwickshire/Coventry but the advert closed early and I hadn’t finished application so went for N.Staffs/Stoke. I have seen all the stuff on here and the UCL course outline but I enquired today and was told it is FULL time – not sure how that works with Uni and schools??? Did your application get sent over to the Track Jobs website? Check your emails if not. I had to sign up to monitor the progress of my application and my invite to interview came from them. Fingers crossed for you! I also have an interview next week at Northampton Uni, the email I recieved for the interview hasn’t said anything about preparing for a presentation or role play the email said to just to being ID! The impression I have so far is that this is a recruit to train role and it is full time but that is split between uni and placement days. I will also have a least an hour to travel to get to the placement area, i am just hoping i can work it around childcare for my daughter! Good luck to all of you with interviews and well done to those that have been successful! I hope it follows UCL format of 3 days uni/1 day placement for first 5 weeks, then 2 days uni/1 day placement all til end of second term. then third term is 1 day uni/1 day placement. The only way I can see it as being full-time is if they set reading weeks for the school holidays – neither uni nor schools will be open to accomodate full-time otherwise. UCL have been generous in their time giving lots to assignment and private study. That is very true! Will be interesting to find out about the holidays.. on the advert it was listed as full time so hopefully the pay doesnt become pro rata! Does seem slightly to good to be true especially the last term being 1 day at Uni 1 day in placement. I’m just looking for some advice in this area. I’m a qualified primary school teacher in Essex and have been working across KS2 for the past 7 years. I just wondered if anyone knows if there is training available in the Essex area and how I can apply for a course place. It looks like a role I’d be really interested but realise there will be quite a bit of a pay decrease. I wonder if they take previously working as a class teacher into consideration? Any help or advice anyone can give me would be great! There are currently only 6/7 universities offering the training within the UK though this should increase with time. From what I can see online all of the job adverts have now closed with some courses starting next week and others in February. Apprently they are taking on new cohorts in September. I have also been in teaching, i cant imagine they would match pay for the training year as it is funded for the training year.. maybe after though? I could be compeltly wrong just seems unlikely! These are all so helpful ..thank you. My interview is next week too. I also have an interview next week at Northampton and I am feeling very nervous. Thinking of possible questions they may ask to help me prepare. Thanks for all the info guys. Me too, the thought of an hour of it is not helping. However I feel like some of this time surely has to be taken up with explaining the course and days etc. My other worry is that I have read it is a fixed term contract for 3 years. One year training with two years in post. All of these things may make me think differently as I’m a single mum with a mortgage. I was in for about half an hour to 40 minutes or so, so I’m not sure if the one hour they have allocated may be to account for welcoming and discussing after the candidate has left. This might not apply to you though as I interviewed for the university of Northumbria. The people interviewing me were very friendly and smiled at me throughout, making me feel very much at ease. It’s easier said than done but try not to worry and be yourself! 🙂 You’ll do great. You’ve done the hardest part by getting an interview. Most of my questions were scenario-based, so just take your time to give it a think before answering. Hey I also interviewed for Northumbria but I’m not sure when the course starts or when we should find out? I was told the course starts 25th Feb or something similar to that. I was also told they will be contacting everyone whether they were successful or not between Monday 14th and Friday 18th. I haven’t heard anything yet, so I’m not sure if that’s a good or bad sign! Hiya, I also interviewed at Northumbria and I’m still waiting, they said it should be early this week but I feel it may take them longer as I bet there were loads of applicants. I was also told it would start on the 25th Feb. Thank you! Looks like something maybe to consider next year then. I’m hoping in the training year I could build up money with supply work while training. It’s just hard to change career and take such a pay dip but the alternative is stick with teaching which I’d rather not do. Having a mortgage like someone previously stated makes me worry about a career change but I want to get out of teaching and this sounds like a really good alternative career. Hopefully more information gets published over the next year. Good luck with anyone about to have an interview! Hi, I am based in Kent and the nearest uni offering the course is London. Does anyone know if you then would be working for the local NHS trust to that Uni? I’ve noticed that some of the trainee jobs are advertised by the local NHS trusts. I’ve missed this cohort but hoping I will be able to apply for the September cohort. What experience have you all got? I’m dissaponted I didn’t get an interview so I want to try get some more experience so I’m prepared for next time. My interview lasted about 30 to 40 minutes and I did a five-minute presentation. The training programme is 12 months full time which involves 3 days uni and 2 days placement. The uni days gradually decrease over time with the work placement days increasing. As this cohort was employed centrally, many of us have to commute some distance to the NHS Trust we are based with. Good luck to everyone who has applied to this programme. Glen you need to click the link in the blog post and join yourself. I can’t just add you unfortunately. I have now set up a Facebook group for you to discuss this more privately. I have a place on this through Northumbria but I’m not on Facebook so unable to join your group 🙁 I have what’s app and eMail?? You might be best setting up a Facebook account. There are 75 people joined the Facebook group.